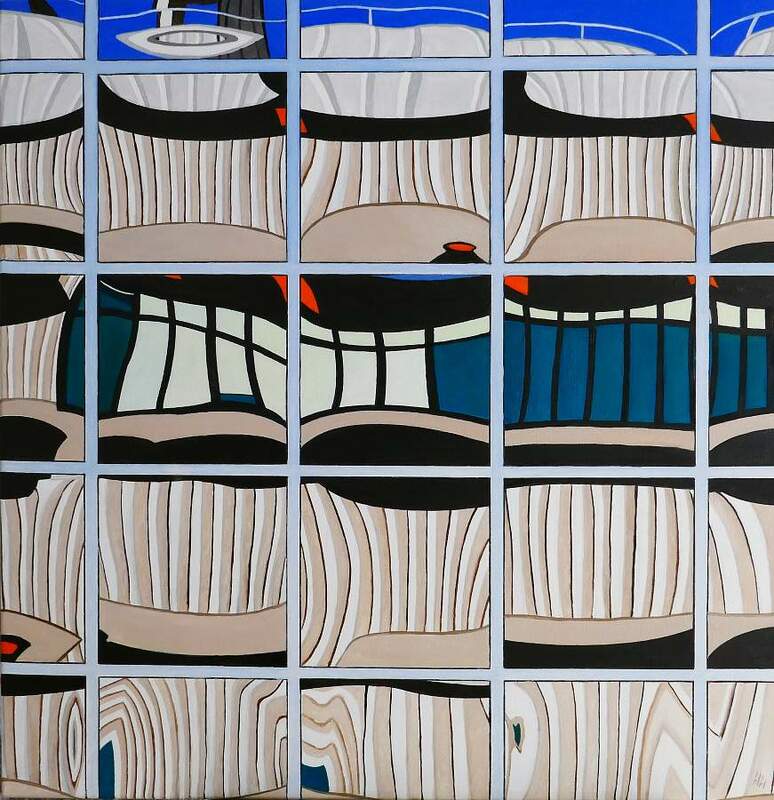 This painting was inspired by the reflection of the Beatrix building into the Rabo bank tower in Utrecht. The last 10 years of Bert's working life he traveled 3 days a week to Utrecht and often passed the Beatrix building and the Rabo tower near the central station in Utrecht. The Beatrix building was created by the Dutch architect Rein Fledderus (1910-1970). When the building was opened by her royal highness Princess Beatrix in 1970 the building had the most extended floor surface in The Netherlands. The Rabobank Bestuurscentrum or Rabotoren (English: Rabobank Executive Centre or Rabotower) is a skyscraper in the Dutch city of Utrecht, built between 2007 and 2011 and designed by the architectural firm Kraaijvanger Urbis (nl). At 105 metres (344 ft), it is the highest office building in the city, and the second highest building overall after the Dom Tower.